Domhnall Gleeson has been busy lately. Last year, aside from portraying General Hux in Star Wars: The Force Awakens, he starred in three other films including Brooklyn, Ex Machina(alongside Oscar Isaac), and The Revenant, all of which have been nominated for Academy Awards. This prompted the LA Times to conduct and interview with Gleeson, who's currently in London shooting Episode VIII. 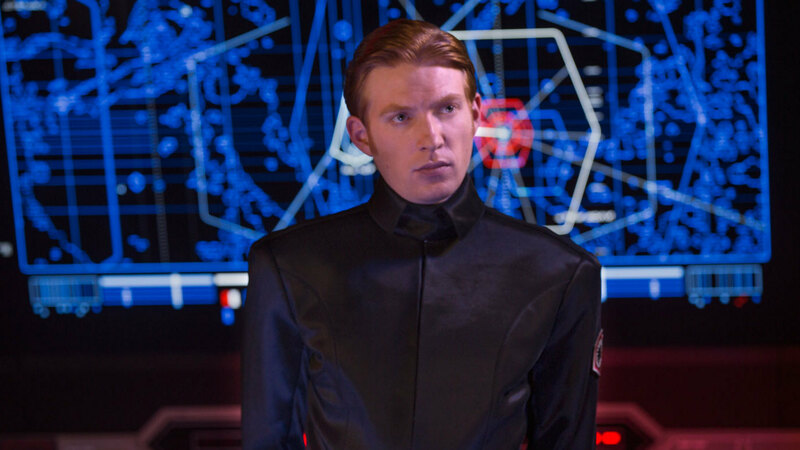 He discusses his various roles and gives some brief but interesting insight into General Hux. He also mentions his preference in weather, specifically in relation to the varied climates The Force Awakens included. "So was turning to the dark side as Gen. Hux in "The Force Awakens" a challenge? I liked him because he allowed me to explore the notion of authority — he's someone who enjoys authority and holds onto it at all costs. The costume was brilliant and added a whole other layer for me. We talked about the idea that he's an obsessive and probably doesn't sleep much. So he was pale with dark eyes. We wanted him to look like somebody who was dead set on one thing. Did you film with the cast in Abu Dhabi? No, and if I'd been in Abu Dhabi, I can promise you I'd be a nightmare to be around. I'm good in the cold. I'm not delirious, skipping around or anything, but I like it." General Hux's story will con in Star Wars: Episode VIII, due in theaters on December 15th, 2017. General Hux needs a first name. ALL characters need a first name. I choose BRANDON in honor of the actor's father...Brandon Gleeson. Besides, the characters father's name is Brandol. He would've given his son a name similar to his own. This works for me!